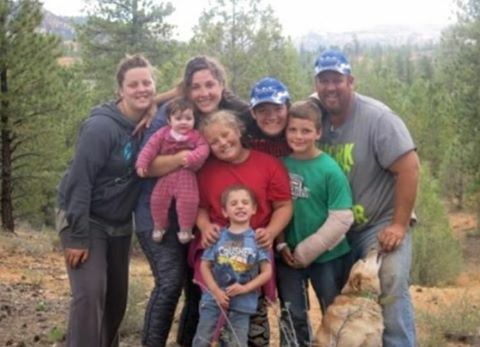 It’s time we have a conversation about not hurting the Bundys when we are trying to help. My family loves and appreciates everyone who has helped bring attention to our cause. You are proud Americans who stand by our Constitution, and for that we will always love you. The calls, letters, videos, and rallies have paid off in ways we probably don’t even know yet. I want my Dad and brothers home, and I have faith they will return to us soon. I am concerned that sometimes we patriots hurt our own cause by being too hard on people who want to understand but aren’t exactly like us. I am afraid that some supporters who really want to help us are too quick to turn on other supporters. We need to stand together. If we are going to fix what is wrong with our great country, we will need to bring together a whole lot of people who have a wide variety of opinions. We can’t afford to scare away good-hearted people who want to help. 1. First, and most importantly, nobody but my family speaks for my family. Nobody. Please be honest when you are talking to people and say that you speak for yourself. 2. Don’t attack anyone who wants to understand more. Explain, educate, and always be a good friend. Never push supporters away over differences of opinion. Having the right to form our own opinions and express them freely is part of what makes America great. 3. Give credit where it is due. We have had politicians listen to our message. Maybe they don’t act as swiftly or as decisively as we would wish, but we need to encourage them to keep listening and learning. Treating them with anger and contempt will get us nowhere. I don’t respond well when people are rude to me and neither does anyone else. Yes, they work for us, so let’s be the kind of bosses they want to go the extra mile for. 4. Make sure you give the facts and the facts only. The truth about our situation is bad enough. Tell that. When you start exaggerating or spreading rumors, it destroys our credibility and turns people off to listening to the true injustices and the core values of our cause. It’s tempting to believe and repeat stories, but stick to verifiable facts. 5. Make some noise, but don’t overwhelm the audience. 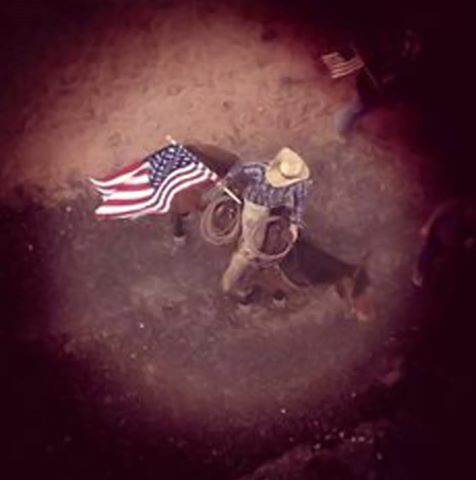 We certainly want the whole world to hear about the Bundys, the Hammonds, and the brave souls who stood for both. What we don’t want is for everyone to tune us out because they get an onslaught of phone calls, e mails, and letters that they can’t keep up with. Be polite and friendly while you’re being a squeaky wheel but not a nuisance. We have to be careful that we don’t treat our friends like enemies. When someone is willing to listen and ask questions, they are friends. When someone takes a phone call or responds to a letter, they are a friend. They may be a friend who needs to be educated, but they certainly are not an enemy who needs to be yelled at or disrespected. As Benjamin Franklin said: “A man convinced against his will is of the same opinion still.” Shouting and bullying won’t win people over to our cause. Love and education will win people over to our cause. This cause is larger than any one of us. It is larger than my family. My family has chosen to make huge sacrifices to defend the cause of liberty and the Constitution, but this isn’t about us and it isn’t about you. It is about the future of America. Don’t let personal grievances matter more to you than justice. Invite everyone to join the fight for liberty, and help them along the path. Politicians, journalists, neighbors, and random strangers on the street all respond best to loving kindness and respect. We can give both of those things in the cause of freedom. Let’s make America great again together! This article is 3 years old from the John Birch Society's publication. Old as it may be, the article shows what happened and what we're fighting for. When you work with words, your words should work. While it was gratifying to see the morning paper finally get around to writing about the difficulty federal prosecutors are having getting jurors to convict armed protesters in Oregon and Bunkerville of conspiracy — Now, where have I read that before? 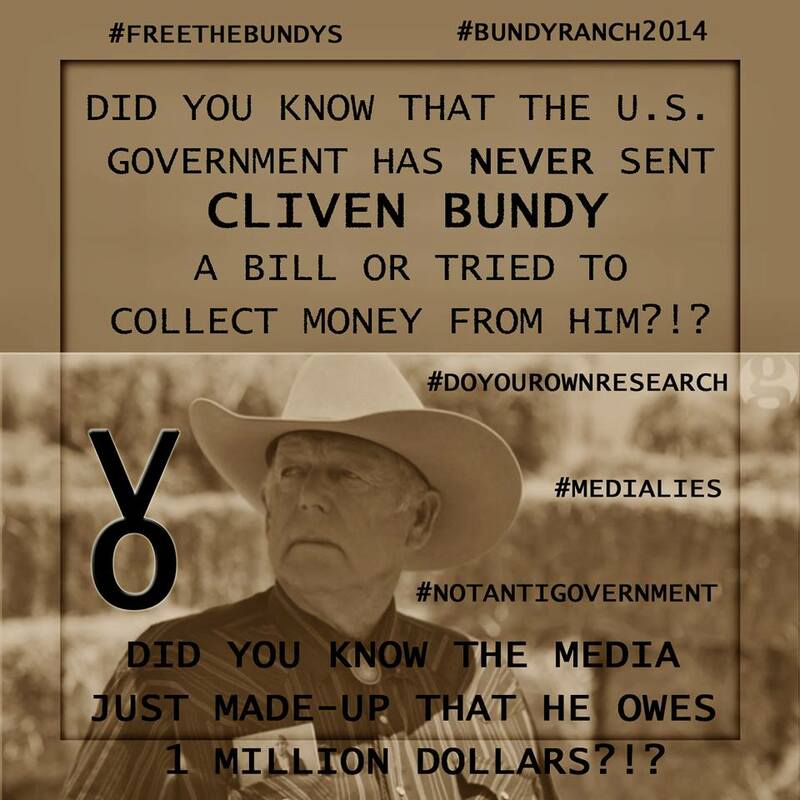 — this one description of cattle rancher Cliven Bundy caused a bit of whiplash: “notorious anti-federalist rancher Cliven Bundy …”This is being said of a man who is invariably photographed with a copy of the U.S. Constitution prominently protruding from a breast pocket. Strictly speaking — and you may accuse me of being a stickler — anti-Federalists were those who opposed the ratification of that Constitution in 1788. 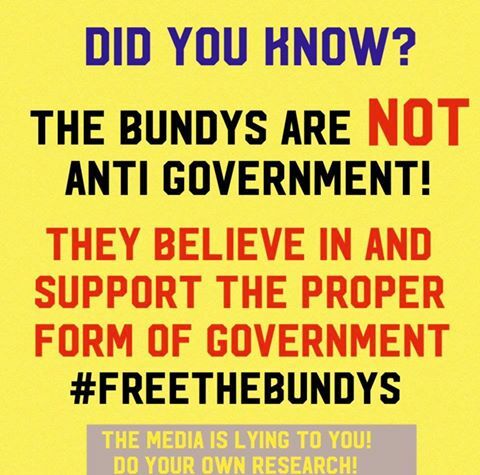 Bundy frequently cites the Constitution as the grounds for his contention that the state rather than the federal government is the proper custodian of public lands, and he and his supporters have on occasion cited the principles of Federalism. Federalism is a system of governance in which federal powers are enumerated and limited, such as interstate commerce, while the state and local governments and citizens are free to exercise other powers, such as law enforcement and land use. Yes, the anti-Federalists did, in fact, warn about the potential for the central federal government to grow too big and powerful until it usurps the rights and powers of the states and citizens — hence the Ninth and Tenth Amendments were added to assure ratification. But Bundy and his ilk surely consider themselves strict constructionists rather than anti-Federalists. By the way, isn’t a conspiracy charge just a cheap way for prosecutors to pile on and try to double the penalty for a conviction? It is one thing to accuse someone of a crime and assess a penalty upon conviction, but then to double the penalty simply because that person had the audacity to talk to someone about it? Dave Bundy is a husband, father and proud American. 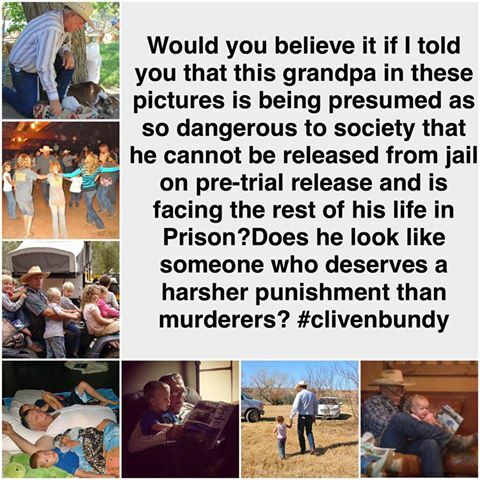 He protested an over reaching government in defense of his family in 2014 and now sits in an abusive For Profit CCA prison in Pahrump Nevada where he has been denied bail, denied his speedy trial rights and has waited 15 months for a trial that is still 6 months away. The rights of the people are being violated and until we start caring about our neighbor this will only get worse. Thank you Jared for saying what should never have to be said. 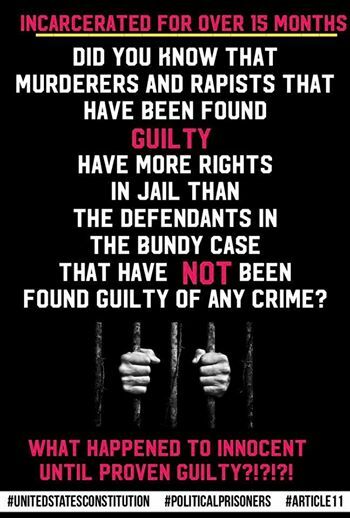 Truth from Ammon in Solitary Confinement. Those who will trade liberty for safety deserve neither. As the jury weighs Bundy ranch stand off, Carol Bundy awaits her husbands fate.